In addition to the information below from our experiences, the following link has some good practical information – http://www.reunion.fr/en/home.html. As the name suggests, Le Port is a port, not a five star marina. It can get a little dusty and takes about 20 minutes to walk into the village, but I didn’t mind it. Blue Heeler was safe and we had power, water, laundry – everything we need. It certainly is an all-weather port and we had no problems with swell, winds or anything mother-nature could throw at us. Only a couple of days did we have stronger than normal north-east winds blowing us on to the dock. A new 70-berth marina is being completed ready for 2015. Standard port entry on channel 16 and the operator spoke English. Customs require notice of a day or so to arrange a time to come and see you. If you arrive on a Saturday or Sunday, expect to see them on Monday afternoon. The customs (la douane) people will come and check your papers and stamp your passport without the need for additional immigration people. 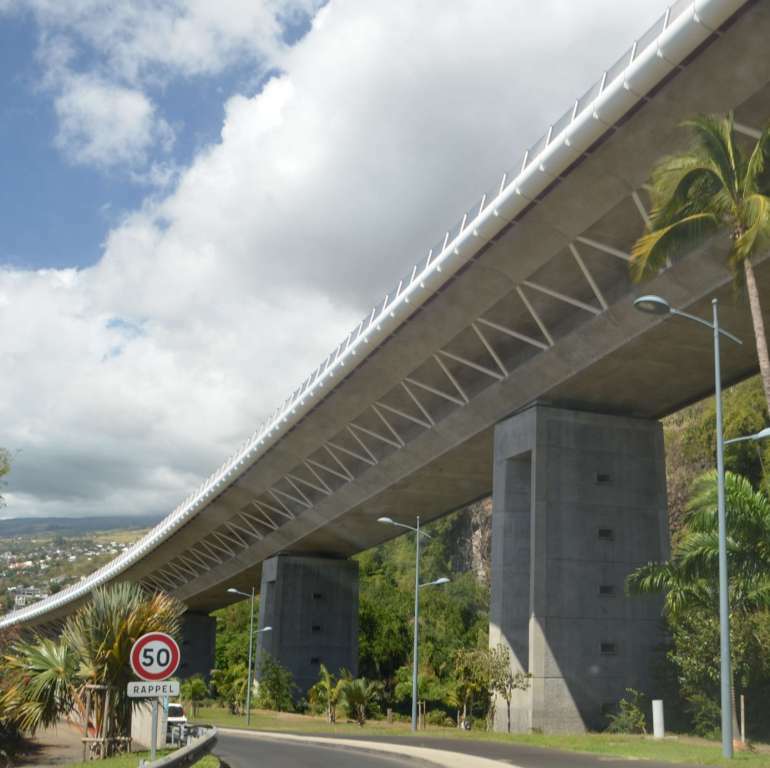 Before you arrive best to contact the ‘Maitre de Port’ Plaisance Pointe de Galets, at Réunion Port with your ETA so that they can expect you and send you any information you need beforehand. They will arrange for customs to clear you in and stamp your passports. Both Jerome and Pierre are very friendly and can suggest some good walks. The nearby black sand beach has a convenient concrete platform which makes a good place to sit and watch the sun go down. Learn French! Unless you only want to eat baguettes and drink Fischer biere (as some do), you may want to practice some verbs and nouns to make the most of your stay. The locals take delight in speaking with you and finding out where you’re from, so the more French you know the better for you as you won’t find English in most places. Bon chance! Be sure to carry your passport with you, or as we do, a photocopy of your passport. You’ll need this for buying SIM cards, car hire and if you need to visit the doctors. At one point I was also asked to show this when I used my credit card at the supermarket. Location de Voiture – Garcia Location – we were fortunate to have a friend drive us around to this local business, which is 3km from the marina on the north side of Le Port opposite the Score supermarket. Our two-door hire car cost 21.5 Euros per day for ten days and took us all around the island. Sans Plomb (ULP) was 1.54 Euros per litre. Enterprise Car Rentals is a French company located some distance out of town, but they will come to your boat and take you back to their office to complete paperwork – good rates too. Plenty of ATMs around Réunion to withdraw Euros and most places take Visa or Mastercard. 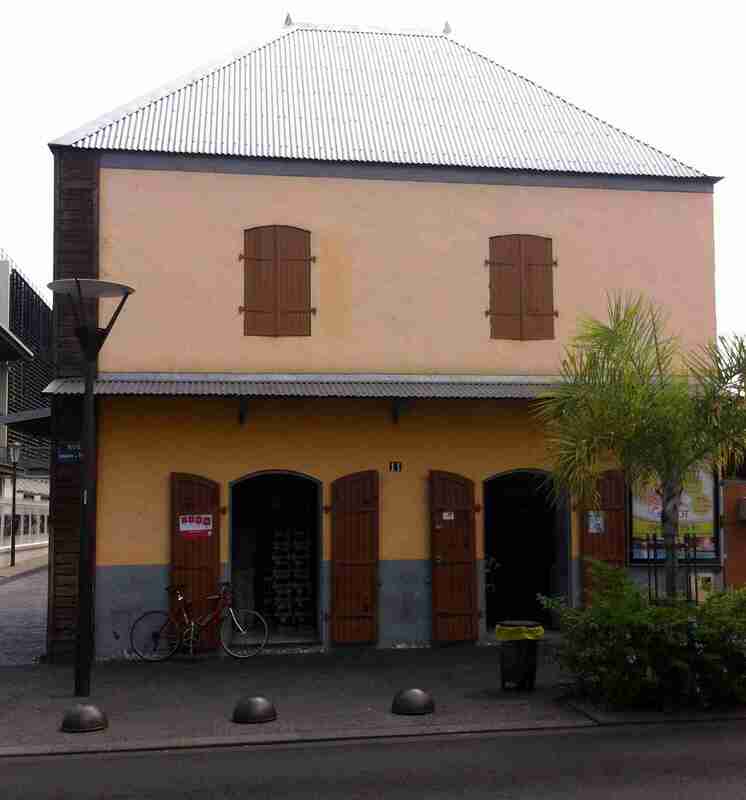 There are banks in Le Port but expect a 2km walk into town, ride your bike or grab a lift with a local. Le Port village is a couple of kilometres from the port so unless you have a bike or enjoy walking, it’s easier to have a car. About four kilometres away is the Jumbo Score shopping complex with Weldom hardware/DIY store and some specialty shops. There’s a few Carrefour stores around the island and a big one just outside St Pierre. Another local DIY store ‘Mr Bricolage’ is about 8kms south of Le Port and has all sorts of plumbing, electrical, etc. The Bureau de Poste is no longer located at 1 Rue de Poste in the north of Le Port as shown on most e-maps. The new main post office is located on the ground floor of a newly built building located slightly west of the main bus station (Gare du Port). The new building is one of two, both of which have wooden design. Look for the yellow ‘La Poste’ sign. There is another La Poste on your way to Jumbo from the port- 100m right at the last roundabout before heading up to Jumbo. Plenty of doctors and pharmacies around Le Port, particularly on Boulevard de Strasbourg near the Clinique Jeanne d’Arc local hospital. St Paul has an emergency hospital – Gabriel Martin Hospital. Expect to practice your French, although most doctors I met spoke a bit of English. WIFI at Le Port is available from the marina office during office hours but the weak signal means you’ll need to go into the office. To purchase prepaid from local providers is a little tricky as there’s not many options for tourists visiting Réunion. Maybe you’ll have better luck but below is our experience from provider Orange. Orange: From the Orange shop at Jumbo Score at Le Port, I bought a mini-SIM card for 15 Euros plus 1Gb for 30 days for another 15 Euros. Besides trying to do all of this in French, the other problem we faced was that the SIM card didn’t work in either my iPad or our modem, but it did work in my iPhone allowing me to use the Personal Hotspot so we could use it with our multiple devices. It was suggested by Orange that I go to their store in St Paul to have their technicians change a setting to allow the card to be used in our modem, but since it works in my iPhone I didn’t bother. This is the first country where we’ve had problems with sim cards not working in our modem/iPads. A friend managed to sort out the settings to use it in his modem. SFR: SFR has a store in Le Port and we went along with another yachtie to see what the deal was. The SIM card was 15 Euros, but they had a strange offer of three time bundles – 6 hours for 19E; 2 hours for 9E and 1 hour for 4E. Based on above examples, I would recommend Orange. Note that the above are data only deals, not communication. We used Skype to make phonecalls. Make sure of a sunny day before you head up the hills or you’ll be disappointed. 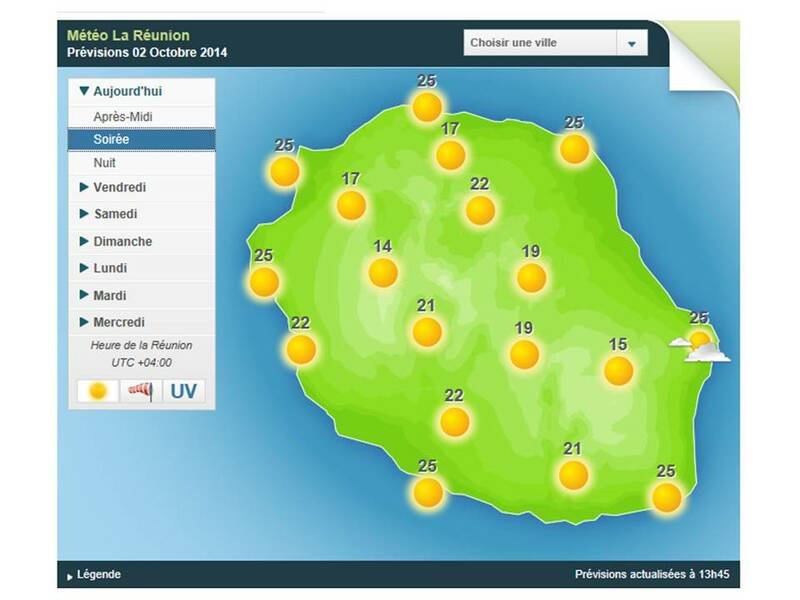 www.meteofrance.re is a good weather website for forecasts, satellite and radar images of Réunion. Weather forecasting in this region is very good. When planning a trip to the peaks, check the site the day before for accurate forecasts. Clouds generally roll in by 10am and can hang around all day. For the best views, be sure to do any hikes as early as possible. We have a bicycle so getting to the shops wasn’t so bad for us. But to see the sights requires a car. Roads in Réunion are excellent and there are literally thousands of tiny vehicles everywhere! A four lane highway runs from Le Tampon in the south west right around the top of the island though the capital St Denis, to St Benoit in the east. The road from St Benoit across the middle to St Pierre is also very good and worth a drive just for the views. Driving along the winding roads can be fun, except when a huge bus flies around the corner into your lane! The drive to Cilaos is a must and takes around 2 hours to get there from Le Port (just try and do it in fine weather). The traffic in Réunion is horrendous in tourist hotspots. Traffic jams in peak hours make travel a little slow in the towns, although the highway makes things a little easier to get around. Travelling south during peak hour wasn’t a problem as much of the traffic appears to be bottle-necked going north to St Denis and vice-versa in the afternoons. There’s plenty of buses and routes around the island, but we didn’t catch any as the freedom of a car seemed to outweigh any potential savings with bus fares and time. Roche Verre Bouteilles – A drive east from Le Port through to Dos D’ane and further to the parking at the end of the road is a short loop hike to the Roche Verre Bouteille (Glass Bottle Rock). This is a short walk of around 1.5 hours but with excellent views into the Cirque de Mafate and west over Le Port. Piton de Fournaise (“Le Volcan”) – The drive from Le Port to La Volcan carpark took around two hours. I would recommend arriving there just before sunrise to avoid the blinding sun on some of those crazy bends. The moon-like views on this sleeping volcano are spectacular but it can be cold up at this altitude (2600m). There was frost in the fields leading up to the volcano and some ice on the ground at the top. The walk to the edge of the volcano took five hours return and it’s not difficult, but perhaps a little breathtaking given the altitude. Cirque de Cilaos – this was my favourite place with spectacular views. Over 400 bends on a decent winding road that leads up to the village of Cilaos at 1100m. Here is where the longer walks into the cirques begin so to do those walks you’d need to arrive by bus or arrange a lift. With our car we opted to park it at Cilaos and do a walk up to the Roches Merveilleuse with excellent views of the village below. Out of ten? Well, the island gets a big ten for the scenery; the roads are excellent; although it depends on what you’re after. Personally I preferred the laid-back style of Rodrigues and Mauritius so I’m giving it 8/10. New marina complex underway at Le Port – should be ready in 2015? ?